Get complete protection from the two most dangerous threats on the Internet -- spyware and viruses - in a single, easy-to-use solution. Spy Sweeper with AntiVirus incorporates virus protection by Sophos to offer the most advanced detection, blocking and removal available to beat all types of dangerous viruses, spyware, worms and Trojans. When you install Spy Sweeper with AntiVirus software on your PC, you can go anywhere on the Internet without fear of infection. Spy Sweeper with AntiVirus gives you 360 degrees of protection. Powerful Smart Shields block threats as you browse - before they ever reach your computer. If your PC is already infected, your Spy Sweeper with AntiVirus software uses advanced discovery methods to find and completely destroy malicious programs hiding within your PC. To ensure you have the most advanced spyware detection available, we constantly expand Spy Sweeper with AntiVirus' definition database. As a Spy Sweeper subscriber, we pass this powerful spyware detection arsenal on to you through regular updates for computer virus protection. Virus and spyware attacks can wreck your computer - making it impossible to use. Spy Sweeper with AntiVirus program quickly and effectively provides maximum protection with minimal interaction. The software is easy for users of all abilities to stay protected. With an easy-to-use console and customizable options, Spy Sweeper with AntiVirus makes maximum protection a snap. · Fast, Complete Disinfection - Your PC can be completely cleaned and disinfected in just a couple of mouse clicks - it's that easy. · Hands-off Protection - Protect your PC and your Internet activities without any cumbersome configuration using Spy Sweeper with AntiVirus software. 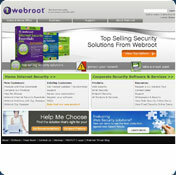 · This robust program offers computer virus protection to keep your PC safe. You cannot download any crack or serial number for Spy Sweeper with AntiVirus on this page. Every software that you are able to download on our site is legal. There is no crack, serial number, hack or activation key for Spy Sweeper with AntiVirus present here. Our collection also doesn't contain any keygens, because keygen programs are being used in illegal ways which we do not support. All software that you can find here is freely downloadable and legal. Spy Sweeper with AntiVirus installation package is prepared to be downloaded from our fast download servers. It is checked for possible viruses and is proven to be 100% clean and safe. Various leading antiviruses have been used to test Spy Sweeper with AntiVirus, if it contains any viruses. No infections have been found and downloading Spy Sweeper with AntiVirus is completelly problem free because of that reason. Our experts on malware detection tested Spy Sweeper with AntiVirus with various spyware and malware detection programs, including fyxm.net custom malware and spyware detection, and absolutelly no malware or spyware was found in Spy Sweeper with AntiVirus. All software that you can find on our servers, including Spy Sweeper with AntiVirus, is either freeware, shareware or open-source, some of the software packages are demo, trial or patch versions and if possible (public domain licence), we also host official full versions of software. Because we want to be one of the fastest download sites on the web, we host all the software including Spy Sweeper with AntiVirus on our servers. You cannot find here any torrents or download links that would lead you to dangerous sites. Rate Spy Sweeper with AntiVirus 5.3.1.2344!